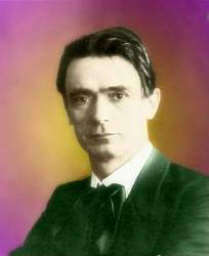 In this collection of lectures, Steiner was answering questions asked to him by the workers on the Geotheanum in Dornach between March 1 and June 25, 1924. These questions ranged over a great variety of topics, from the influences of living near a cemetery to comets, the Kaballah, and the Klu Klux Klan. 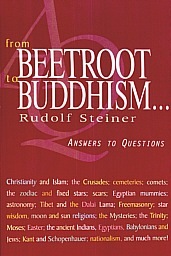 The title comes from two of the diverse topics covered, beets and Buddha. [page 3] . . . if we did not have those powers of destruction we would be stupid all our life. The harmful effects of the cemetery are best countered by planting walnut and lime trees in the vicinity. I note that when we moved to Timberlane in 1989, about the time I decided to make writing a career, we found that there was a small cemetery about 800 feet from the edge of our property. About three years or so later, I planted four types of citrus: navel orange, grapefruit, satsumas, and lemon trees adjacent to the house. There was already a medium size pecan tree growing in the front yard. I don't know for sure whether the pecans and lemons make an apt substitute for walnuts and limes, but that's the condition I find myself in without any conscious planning. Whether my thinking is clear now, the reader is in a better position to say that than I am. Maybe it's due to the carbonated beverages I occasionally drink, which Steiner says are helpful to one's thinking. Amazing how the soda industry took off shortly after he said these things in his public lectures at the beginning of the 20th Century. And how people pay premium prices for carbonated spring water at the beginning of this 21st Century. One can easily be fooled into thinking that the ancient Indians had a disregard for their physical bodies because they were so spiritual. In fact they were so spiritual that they saw all the components and organs of their physical body as spirit. With the Egyptians it was a different story. Living in an arid region, it was the water of the Nile that was of utmost importance to their survival. They focused their thoughts on the nature of water. The Babylonians lived in a region where clear skies at night made star gazing very popular. They built great towers to observe the stars. They looked to the stars the way Egyptians looked to the river, and calculated the influence of the stars on human life. They created the science of astrology which later came to be known as astronomy. Thus the Babylonians were the first people to discover the astral body of the human being, that part of us that arrives in our physical and etheric bodies every morning after its nightly journey to the stars. [page 15, 16] You can read it in the Bible, in the Old Testament, how the Jews were never satisfied and came to a spirit who is completely invisible. The physical body is, of course, completely visible. The ether body came to expression in the floods, in the watery activities of the Nile; these were tangible. The astral body of the Babylonians would not be visible on earth, but could be found by studying the stars. The Jews wanted none of that, they wanted an invisible god. This invisible god influences the human I. The Jews found the I as a spiritual principle and called it Yahveh. What is exteriorly and academically called "history" is only a fable convenue, for it records external facts in such a way as to make it appear that the human being was essentially the same in the 8th or 9th century as, let us say, in the 18th or 19th. To this tale of the development of the four human bodies, I'd like to add a chapter that has been written only in the past twenty-five years. In discovering that all emotions and feelings are stored before one is about five-years-old, Doyle Henderson has in effect discovered that our astral body which contains our emotions and feelings is seeded by our etheric body and physical body. Those sensory experiences of our etheric and physical bodies that occur before five-years-old are stored and recalled later during our life when some associated event triggers them. These re-triggered events are what we call our emotions and feelings. This process is the key tenet of doyletics, a nascent science of the new century. One theme about Roman rule is that the Romans did not replace the gods of the people they conquered, but simply added them to their own pantheon of gods. This was a very practical way of keeping peace in the conquered territories, but it had a deeper, spiritual significance. The gods of the conquered people were able to exert their influence on the Romans as well. Thus it came to be that Rome conquered Greece, but Grecian culture overran Roman culture. [page 28] What was the significance of this Roman rule? It was full of the Greek spirit. Educated Romans would all know Greek, and the educated people in Rome knew Greek as a matter of course. The Greek spirit had the greatest influence everywhere. In days when there were free Romans and Roman slaves, the difference in class was very important. In later centuries, the difference between the aristocracy and the common man was very important. And here was Christ Jesus telling us that people all over the world were the same in their souls, that sons of the gods were equivalent to the sons of man. The period of pregnancy is ten lunar months, a lunar month being defined as the period of the Moon's orbit around the Earth, or 28 days. Twenty-eight days is also the period of time between two appearances of an egg ready for fertilization in the womb of a female. When fertilization occurs, the nascent human being is nourished in the womb for ten cycles of the Moon. These mundane facts about human fertilization should lead us to realize how deeply we each have been influenced by the Moon by the time we are born. There was a people who were intimately aware of the Moon's influence on them - to such an extent that they felt, "we bring the whole of our human nature, the way we are, and so on, with us when we come to earth." [page 57] And this is what we find in the old Jewish Yahveh religion. If you had asked one of the ancient Jews who had got ill, let us say, why he got ill, he would say: 'Yahveh has willed this.' If his house was set on fire, he would say it was the will of Yahveh, and so on. He recognized only the one God through whom human beings entered into life on earth and would ascribe everything to him. This gave the Jewish religion a certain rigidity. All their lives people would feel dependent on what they had brought with them on coming to earth. When Christ began to teach He wanted to give human beings an inner freedom from that "seed of the divine" that each of us have in us, a freedom that allows us to steer our own paths in freedom throughout our individual lifetimes. But Jesus of Nazareth was born of a woman and nurtured by the Moon in her womb till birth, his first birth. Only later was he born again, when at baptism by John in the Jordan, the great Sun Spirit Christ entered his body. In my native church, the Roman Catholic Church, this dual influence is embodied in a special altar piece that is only taken out for display on special occasions, the monstrance. In the center is the pale white host and surrounding the host are the golden rays of the Sun radiating outward in all directions. At its deepest level it represents the pale disk of the Moon surrounded by the Sun, and thus displays for all present the two births that we must each undergo to become fully human. The Moon influences our astral body and the Sun, our "I" or ego body. The image of Christ Jesus on the cross is ubiquitous in Christian churches everywhere today, so much so that we may find it difficult to imagine that that way of representing Christ only came into being after the 8th Council in Constantinople in 869 A.D. Before then, the universal symbol was Christ Jesus as a young man carrying a lamb on his shoulders. That Council decreed, established by law, that the human being consists only of a body and soul, not a separate spirit, and in its wake, humans could no longer remain in the Church and imagine that the Christ spirit entered Jesus of Nazareth's body at baptism at age 30. It must have been there at his birth. Thus came the idea of the Immaculate Conception, an ad hoc retrofit essentially, to help explain how a God can be born of a human being. And with this demotion of every human from their status as a spiritual being came a preference for using the name Jesus Christ, as if Christ were Jesus's surname at birth. Also a preference for showing this God, born as a human, crucified on the Cross as a new symbol. This symbol was not one stemming from the beginning of Christianity and the deed on Golgotha, but one stemming instead from the jurisprudence of the Roman emperors like Constantine and the hierarchically-minded church fathers that followed him when they laid down the law for all the faithful to follow in that 8th Council. What happens if you eliminate the spirit from the human being? Well, one might expect that materialism would be the natural result of such an action, and it was. Soon church-goers found themselves, or better said, lost themselves debating whether the communion host contained the body of Christ or not! [page 106] But you can literally see materialism arise. The earliest Christians did not have to dispute over flat flour cakes being physically transformed into real flesh, for it would have never occurred to them to think about such a thing. It was only when people wanted to think in material terms that this matter, too, became material. This is altogether rather interesting. Materialism has two forms. Initially everything spiritual was seen in material terms, and then the spirit was denied. That is the route people follow in materialism. When the Church began to take the attitude that its job was to take care of human souls, it submerged the ability of people to let the sun spirit be born within themselves without external help. Is this such a big deal? Inquiring minds want to know. [page 111] Today we have a situation where the principle according to which human souls must not care for themselves but be cared for by the Church has taken the life of the human souls. If this principle were to continue it would not take long before souls would die with their bodies. Today, human souls are still alive; they can still be woken up if there is the right knowledge of the spirit. In a century or two this will no longer be possible unless there is a science of the spirit. The word "beetroot" is the same as our English word "beet" and refers to the usually red tuber that grows underground. Several weeks ago, Ray, a gardener in his 70's told me that if you planted potatoes during a waxing Moon, you got mostly green stuff above the ground and few potatoes. It was only if you planted potatoes during a waning Moon that you got what you were after, lots of potatoes under the ground when you dug up your crop. He attested to having found this out the hard way one year and carefully planted according to the phases of the Moon thereafter. I remember as a college student in Philosophy 101 having a class discussion about the phases of the Moon. One student who grew up on a farm claimed that if you dug fence holes during a full Moon, you got extra dirt left over, but if you dug the fence post holes any other time of the month, all the dirt went back into the hole with the post. We debated whether to perform an experiment to confirm this report that the Moon had an effect on the soil or not. We didn't, but I remembered clearly the discussion we had about forty years ago. In the May 5, 1924 lecture (page 147, 148) Steiner tells us about a doctor who touched his tongue to the tip of the rootstock of a poisonous, medicinal plant (monkshood, a herb with a tuberous rootstock, which the dictionary says is "extremely poisonous in all its parts") This had a very strong effect on him. It caused him to lose all sensation above his shoulders, to "lose his head" and caused great changes in his life. He attained his goal of removing his head as "an obstacle to seeing the world of the spirit." (Page 148) Later, when he performed exactly the same application of his tongue to the same roots, it had no discernable effect. Steiner says that the missing part of the story was the report of the phase of the Moon during each tasting of the poisonous root, that the effects of the root of any plant is stronger during a Full Moon. He goes so far as to recommend that mothers feed their children beets, potatoes, and other root crops during a Full Moon for greatest nutritive effect. He says that eating beets at a Full Moon will kill any worms that one might have. [page 149] You see, gentlemen, it is like this. When you eat the root of a plant, this is under the influence of the moon just as much as a poisonous root is. . . . Beetroot is a good food for people who easily get worms. When the beetroot gets to the intestine the worms get upset; they are paralysed and are then eliminated in the stools. When I was in my twenties, I had problems with amoebic dysentery and got tired of taking the medicines and the weekly treks with stool specimens to my doctor who examined them for traces of the amoeba. To think that eating beets and potatoes at the Full Moon and avoiding them at the New Moon might have eliminated all the trouble and expense! [page 150] People who have certain illnesses may even be helped a great deal by giving them a root diet, arranging things in such a way that the diet is taken at the time of the full moon and not at the time of new moon. . . . Children who have a tendency to stay small could also be brought on a bit with such a root diet . . . between birth and the seventh year of life. . . . And the moon's influence is mainly apparent on the earth's suface. It does not go deeper. It goes just far enough to stimulate the roots of plants. It is not down in the earth itself. After all these years, I encounter Steiner telling workers at the Goetheanum that the Moon has effects on the soil up to the depth of the roots of plants, which is about how far one digs to plant fence posts into the ground. The ancient Babylonians and Assyrians, Steiner tells us, did not think of the Moon as dry, cold body in space, but rather saw the Moon's influence everywhere they looked, up to the depths of the roots of plants. In the next passage he offers proof of the effects of the Moon. Can anyone attest to this from their own experience? [page 150] You can find proof that the moon forces do not go down into the earth if you talk to people who go for a swim in the moonlight, for instance. They'll soon come out of the water again, for they feel as if they are sinking. [page 161] This is the great mystery with modern knowledge, that each knows a piece of the world and no one knows the whole. This is also why science is so terribly boring when it is presented in public lectures. It has to be boring, of course, gentlemen, if people tell you only a little bit about something. [page 173] In the world of the spirit the most sublime spiritual power [kether] uses freedom [chesed] to bring about intelligence [intelligence]. In this last section I want to include something from Steiner's insightful discussions of words, especially how their sounds are related to realities. At one point in the discussions he mentions how, when people still experienced the spiritual world directly, there was only one language because there was still only one way of experiencing reality directly and they all felt it the same way. With the ability to think about things differently and the simultaneous moving away from direct experience of the spiritual component of reality, people began to use different words for the same things and organize their thoughts and words differently. The Bible story of the Tower of Babel tells this same story metaphorically. What evidence does Steiner give us for his claim of there having been only one language? 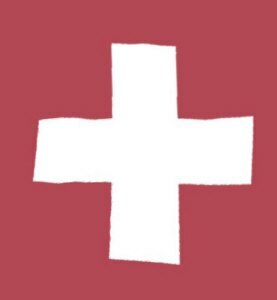 Simple, he appeals to the universal feeling that remains yet in the sounds of our languages, no matter which one we consider. [page 239] When one would say E [more or less like the 'a' in 'gate'] - just feel it: I shrink back a little. That does not suit me; E - I am a little afraid, something like fear! Note the translator from German to English has to explain that E in German is like our English word A with the sound as in 'gate', which is exactly the sound that Fonzie made when he said, "AAAAY!" And Fonzie leaned back as if in fear, but said the AAAY so loud and with such a flair, that the younger kids were cheered by his simultaneous expression of and overcoming of fear.